Gooseberry Park Cottages & Motel is a scenic Lake Superior retreat offering year round vacation cottages at the water's edge. 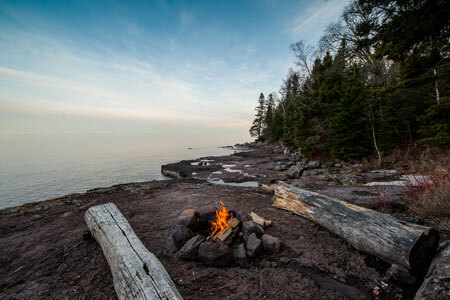 We are located in Castle Danger, 10 minutes north of Two Harbors and, only two miles south from Gooseberry Falls State Park, your gateway to Lake Superior’s North Shore. Our comfortable cottages are lakeside with great views of the big lake and were remodeled keeping the charming feel of the of the North Shore in mind, yet giving you the comforts of home. Our 5 unit motel has been totally refurbished and features 3 housekeeping suites with full kitchens and a large deck providing a lake and garden view. We also offer two sleeping motel rooms for those not needing cooking accommodations. We refurnished our entire resort with new appliances, TVs, DVD players and new queen beds for a peaceful and restful sleep. Four of our cottages our equipped with gas fire places. We pride ourselves in offering you a clean and comfortable stay at an affordable price. We are a family owned and managed resort hoping to keep memories of the "Mom and Pop" resort alive. We will try and make your stay feel like home and we hope that you find Gooseberry Park Cottages & Motel to be a place where vacation memories are made.